Autumn in the northeast USA bottled. 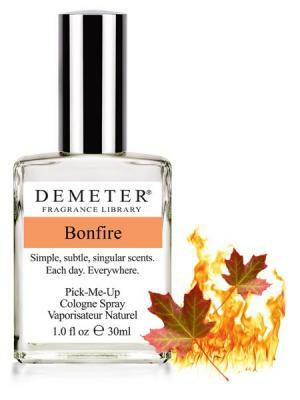 Sensual and intoxicating, Demeter’s Bonfire captures the scent of burning maple leaves on a cool, crisp fall New England day, a decidedly American point of view. We remember a less complicated and less regulated time, when we would rake the fallen, dried maple leaves from the lawn into large piles, which our fathers would burn, making the bonfires of our youth. The best part about the beginning of November in Britain is the fact that no sooner has trick or treating finished, preparations for Bonfire Night begin. 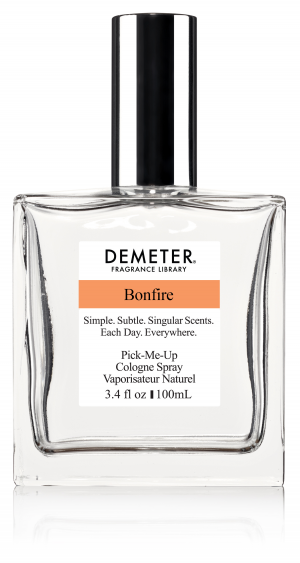 Bonfire Night can be traced directly to events that occurred around the beginning of November in 1605, known as The Gunpowder Plot, an attempt to overthrow the government of King James and the Church of England. It was on the 5th of November 1605 that our (anti-) hero Guy Fawkes was caught red handed in the cellars of the Houses of Parliament with several barrels of gunpowder (according to sources, the actual number varies between 20 and 36; suffice to say, it was enough!). Mr. Fawkes and his fellow conspirators were tried as traitors and executed.